We’d love your help. 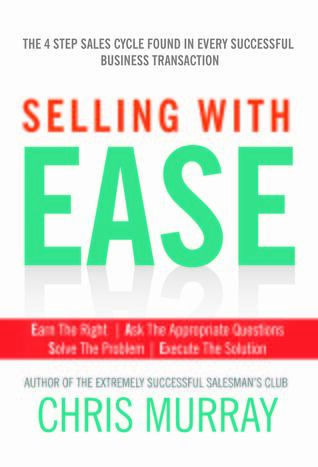 Let us know what’s wrong with this preview of Selling with EASE by Chris Murray. There are 4 distinct steps to every business transaction employed by all successful salespeople – and it’s the understanding and execution of those 4 steps that separates the elite from the rest of the pack. Why do we all find it so difficult to recall more than one or two occasions when we felt that we were treated exceptionally by the salesperson who dealt with us? Is it that the majority of those salespeople knew the four steps but chose not to make use of them? Or maybe common (sales) sense isn’t quite as common as many people like to pretend it is. If that’s the case, then it’s probably time for this information to be broken down, simplified and re-explained – so that it can be implemented effectively by all those who find themselves at the frontline. To ask other readers questions about Selling with EASE, please sign up. I won this book in the Goodreads First Reads giveaway. There was plenty of useful advice and made interesting reading, despite not being in the business of selling myself. I shall be passing this book onto a friend who is and may well find it very useful. This book is for anyon e in sales or marketing. It is a step by step book on how to sell. I liked that it answered a lot of questions the reader would have. Chris Murray is founder and Managing Director of the Varda Kreuz Training Group and has become prominent as an inspirational speaker, author and business coach; delivering training workshops and keynote speeches that challenge teams to re-examine what it means to be ‘in sales’ and requiring them to stand back and view the whole experience from a refreshingly different angle. His books include The E Chris Murray is founder and Managing Director of the Varda Kreuz Training Group and has become prominent as an inspirational speaker, author and business coach; delivering training workshops and keynote speeches that challenge teams to re-examine what it means to be ‘in sales’ and requiring them to stand back and view the whole experience from a refreshingly different angle. 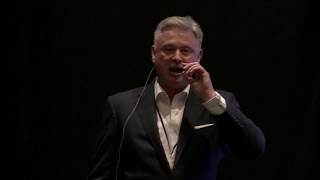 His books include The Extremely Successful Salesman’s Club – which was an Amazon Number 1 Best Seller heralded as the Da Vinci Code for salespeople; Selling with EASE and The Managers Guide to Achieving FAME.